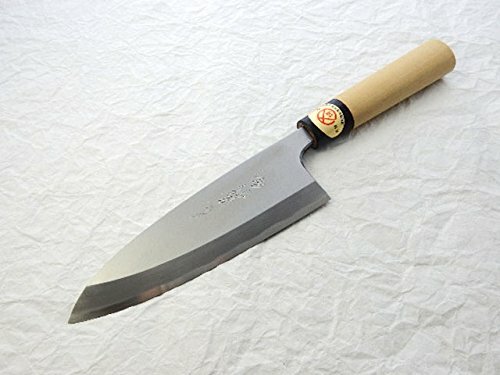 Yoshihiro/Yasuki Yellow Steel, KASUMI Japanese Left handed Yanagiba(Sashimi) Knife, manufactured by one of the most famous workshop,Yoshihiro Cutlery Mfg.,Ltd. in Sakai/Osaka, Japan. This model is of basic Professional use, made of Yasuki Yellow Steel(Kigami). We are pleased to inform you we ship your order directly from Sakai/Osaka all over the World!!! Blade Length Variations :150mm/5.9",165mm/6.5" & 180mm/7.1"
View More In Deba Knives.